Vacancies at Singapore's gleaming office towers are nearing their highest level in almost a decade, with construction of the city-state's tallest building - GuocoLand Ltd's 64-floor block in the financial district - wrapping up just as the economy slows. 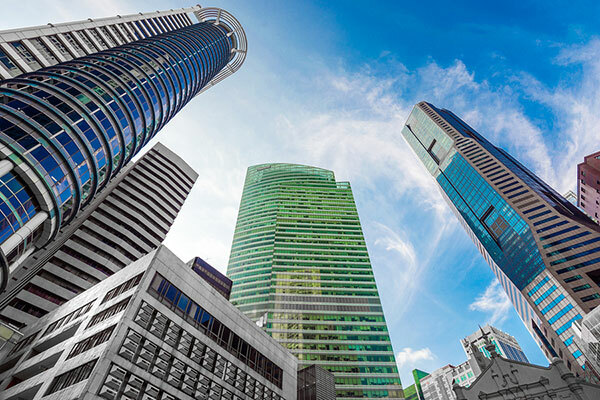 Nicholas Mak, executive director at SLP International Property Consultants, said many of the buildings that are now ready for occupancy were planned about five years ago, towards the end of the global financial crisis. "Many people thought that this is the new boom, let's try to capitalise on it. Nobody expected the party to end by end of 2015," he said, adding that office vacancy rates could hit 13.5 per cent, a level not seen since 2005. Mak said vacancy rates could improve by the end of next year if the economy picks up and as demand catches up with the supply, easing the glut. "This will be a short-term blip," Lynette Leong, chief executive of CapitaLand Commercial Trust, said in January.